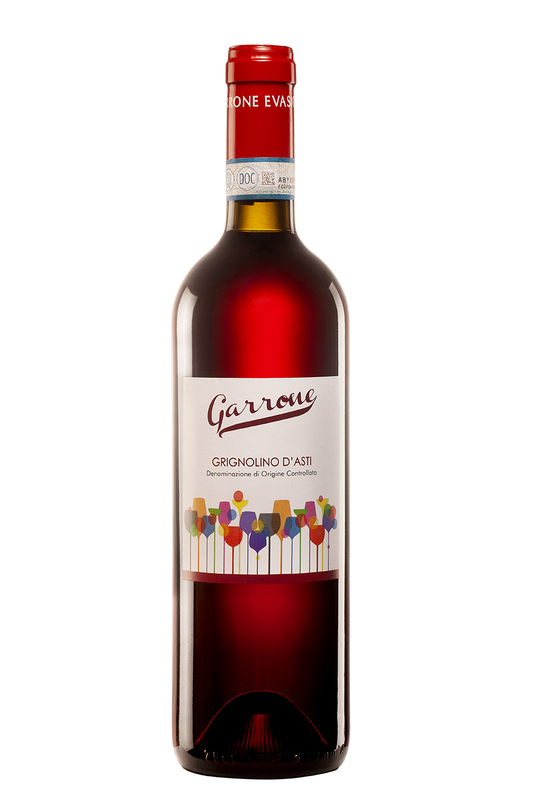 Our Grignolino d’Asti comes from a thirty years-old, Guyot-trained vineyard in the area of Castagnole Monferrato. This vineyard faces south-east and is located at two hundred meters on the sea level, on the top of a hill. The grapes are manually picked up in the middle of the harvest period: their fermentation starts with selected yeasts and is followed by a short maceration, avoiding the extraction of a too strong suite of tannins. Then the wine is aged for three to four months in large oak barrels and is bottled at the beginning of the spring. Its colour is a bright ruby red, its scent is of violet and geranium, and its taste is rich in cerise, blackberry, blueberry and a touch of cloves. Its light colour can be misleading: it isn’t a light wine, and it matches well also with strong tastes. The perfect match is with starters, cold cuts and (why not?) with a fat river fish.